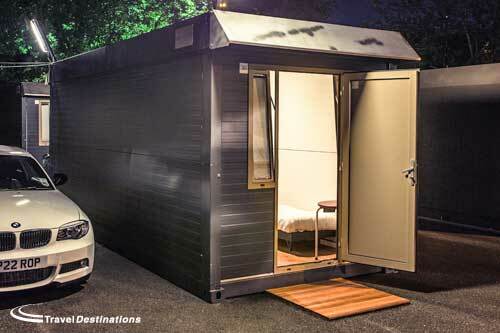 Available as a 4 night package, the Flexotel rooms will provide your own private bedroom at the circuit. All bed linen and towels are provided along with twin beds. Michelin hospitality is exclusive to Travel Destinations customers purchasing an accommodation package for this year’s race. The Le Mans 24 Hours is really a week-long event – starting with scrutineering in Le Mans town, but most people arrive from either Wednesday or Thursday once the action moves to the track. Our hotel offer enables you to enjoy the full week of activities. Our private on circuit options are all available from the Wednesday onward. The ‘Circuit de la Sarthe’ is almost unique in its layout, access and size. The track is approximately 8 miles around including a mixture of public and private roads. For safety reasons it is not possible to view from certain parts of the circuit & it is not possible to walk around the whole circuit. However, there are lots of viewing options between the Porsche Curves and the Tertre Rouge Corner and separately at Mulsanne and Arnage corners. To enhance your view we recommend reserving a seat in one of the grandstands. It seems that wherever you are at this circuit, you are at least 20 minutes walk away from the next place you want to be. There is always a lot of walking involved, therefore, the location of your accommodation for the areas you will spend the majority of your time is an important factor. We recommend our Flexotel Village for the best access around the north end of the circuit and for easy access to Le Mans town by tram. There are no 5 star hotels in Le Mans at this time. There is a huge demand for bedrooms from teams/support crew & sponsors. You will not want to travel too far to get to and from the circuit & traffic will be difficult at times. Our hotel options includes a 7 night stay at a hotel with easy tram access to the circuit. It is also possible to drive to the circuit if you have a car. Although it is possible to stay for less than the 7 nights, the price will remain the same. If you are flying into Paris, it is possible to get the train (SNCF) to Le Mans from the airport. Alternatively, if you are also spending time in Paris, the high-speed TGV train to Le Mans leaves from Gare Montparnasse. There is a tram at Le Mans train station that will bring you to the circuit or the hotels. Whilst hiring a car is an option it is not a necessity. 24 hours is a long time to be track-side at any circuit. 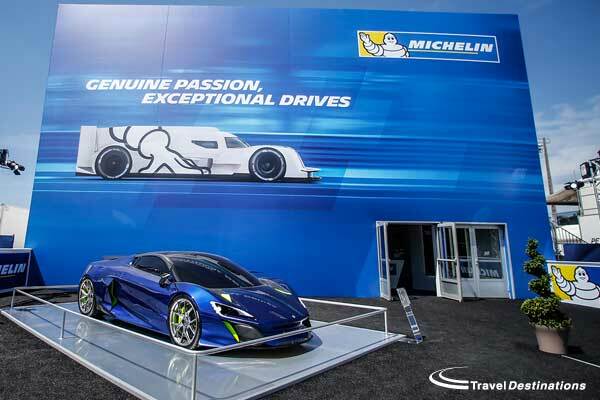 For those that would like a little luxury at Le Mans, we can offer hospitality with our partners at Michelin. The offer includes food & drink throughout the 24 hours as well as transport around the circuit, a helicopter flight and behind the scenes paddock tour. The hospitality option can be added to any of our accommodation offers. Although we are located in the UK and most of our prices are in British pounds (GBP) we have created some options on these pages in US Dollars (USD). If you would like to book and pay in USD then this is possible by bank transfer. Please contact us for further details. If you wish to pay by credit card this is also possible, however the price will be charged in GBP and then converted to USD using the exchange rate of the day. All the Travel Destinations staff have a huge amount of knowledge about Le Mans. We have all experienced Le Mans first hand. It is impossible for us to impart all this knowledge on a website, so we encourage everyone interested in making a booking to first telephone us on +44 1707 329988. We will be happy to discuss all the options with you to ensure you enjoy the best of the Le Mans 24 Hours. Perfect if you want to spend the week in Le Mans and experience the event as a whole. All rooms are ensuite and comfortably furnished in a contemporary style. There is a restaurant and well-stocked bar on-site. The hotel benefits from private secure car-parking and the tram stop is a few minutes walk away. It is just a 10 minute tram ride into the circuit or in to Le Mans town. This is our most popular product for our overseas customers. 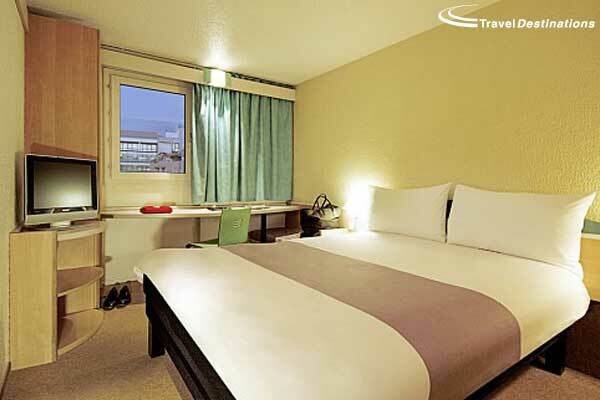 It is a 2 minute walk from the tram stop at the circuit to your room. The rooms are inside the circuit, a 15 minute walk to the paddock area and Dunlop, yet secluded enough to enable a relatively decent night’s sleep. There are private showers & toilet blocks on-site. We have a bar/marquee facility catering for your immediate needs of breakfast and a buffet BBQ in the evenings. If you have the facilities you can of course bring your own BBQ and cook your own food. Starting on race day morning (Saturday) you will have access to the Michelin VIP trackside hospitality pavillion, with views across the Ford Chicane. You will be welcomed by Michelin staff and looked after throughout the weekend including VIP shuttle bus transfers to the far points of the circuit as well as a guided tour of the busy Michelin tyre workshop as the race continues. You will also be able to get a bird’s eye view of the circuit from your own helicopter ride!